How many times have you planned a trip and need to fill your cooler with supplies only to dread the thought of going to the convenience store to purchase frozen water? Expensive and poor quality is what I usually find. 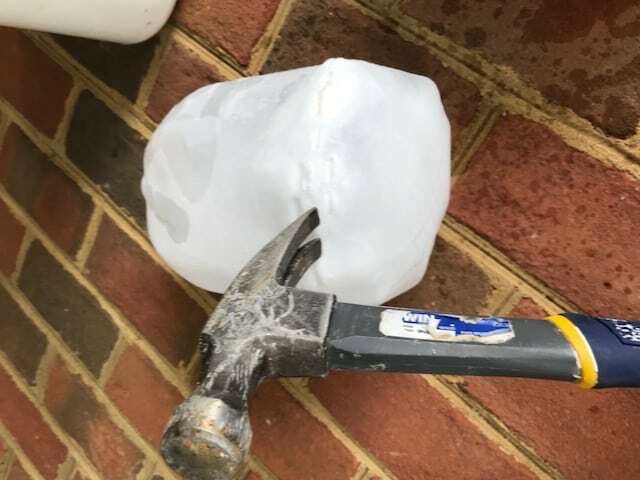 Fear not, if you have space in your freezer you can make an unlimited supply of ice and repurpose some recyclables at the same time. Milk jugs, juice cartons, and other drink cartons can be repurposed as an unlimited and inexpensive source of ice. 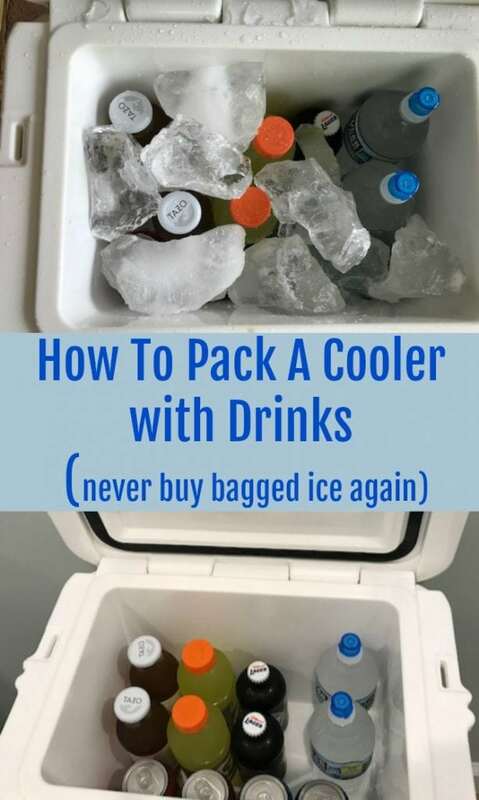 We are going to share How to Pack a Cooler with Drinks & Ice Hacks that will keep you from ever buying bags of ice again. Step1. Take a discarded milk/juice carton and clean it out thoroughly with warm water and soap. Rinse. Step 3. 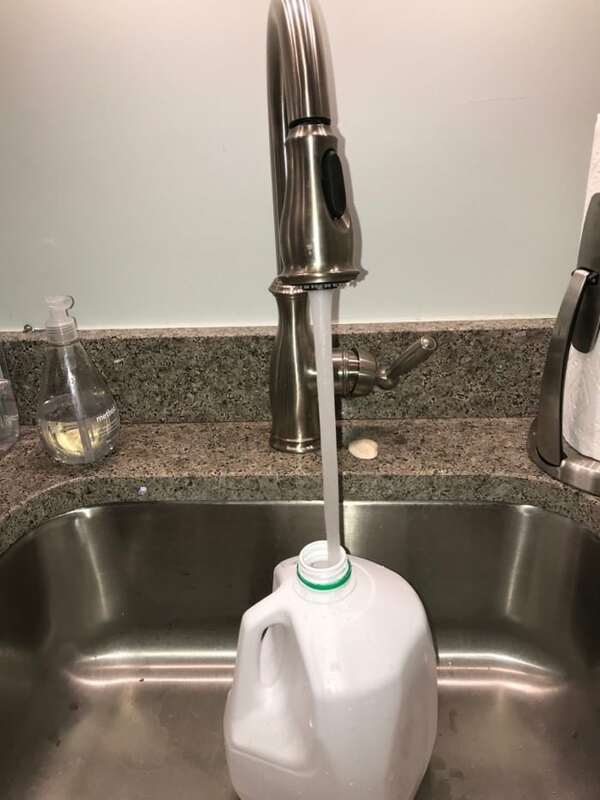 Fill the carton with water, leave water level about an inch and a half below the top of the carton to allow for expansion. Step 4. Put the milk jug or juice carton into the freezer. Step 5. A day later or depending on the temperature setting of your freezer you have a frozen carton of ice. recommend this because cutting plastic through to ice can be slippery and dangerous. 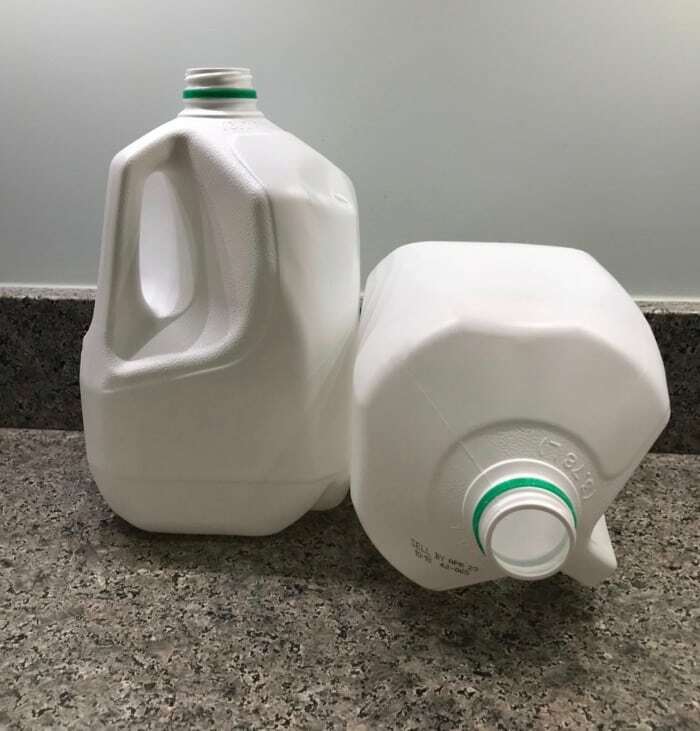 I usually lay the carton on the ground and claw a pattern around the base of the carton. Essentially making a cut line. bottles and cans potentially damaging them. 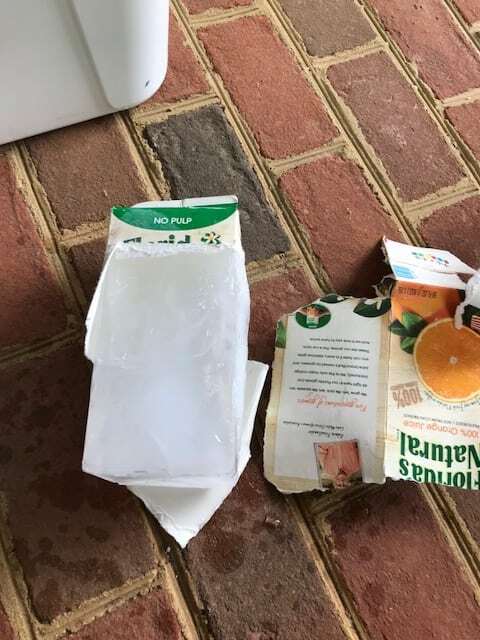 Beating the side of the carton gently will cause the ice inside the carton to fissure and drop out in large chunks. The large chunks can then be broken up into smaller chunks. 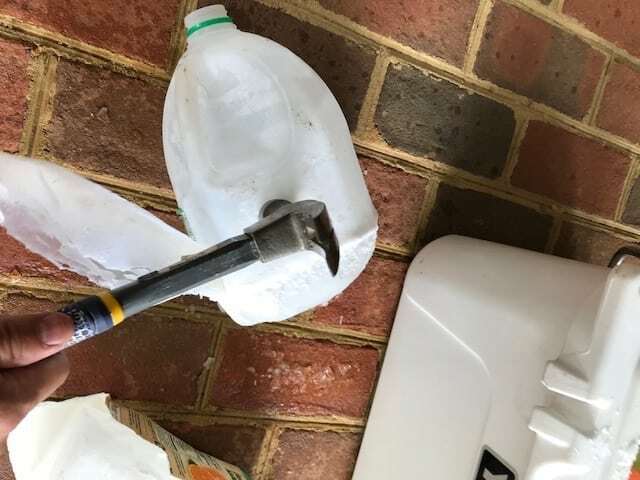 I recommend wrapping the large chunks in a terry cloth towel and then striking them with a hammer to make smaller pieces and always wear eye protection. Or simply throw the whole frozen carton in the cooler if there is enough space. You can always allow the water to defrost and then have cold drinking water as well. the freezer and put it in the cooler, keep the carton whole. Repeat freezing of another carton. 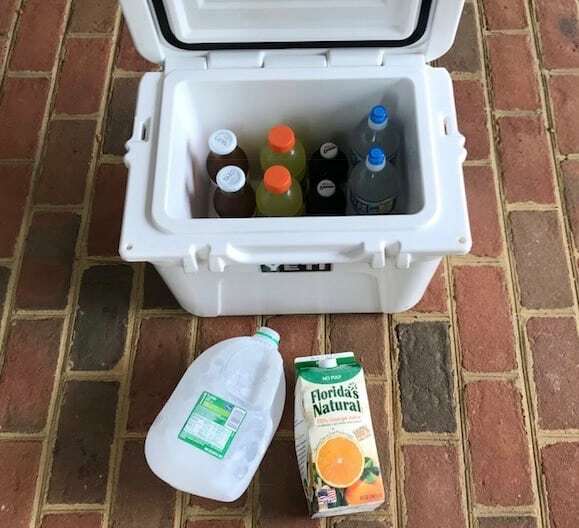 So no matter if you are headed on a road trip, to a sports field or the beach, having a cooler of COLD drinks the whole day is key to a successful and hydrated day!